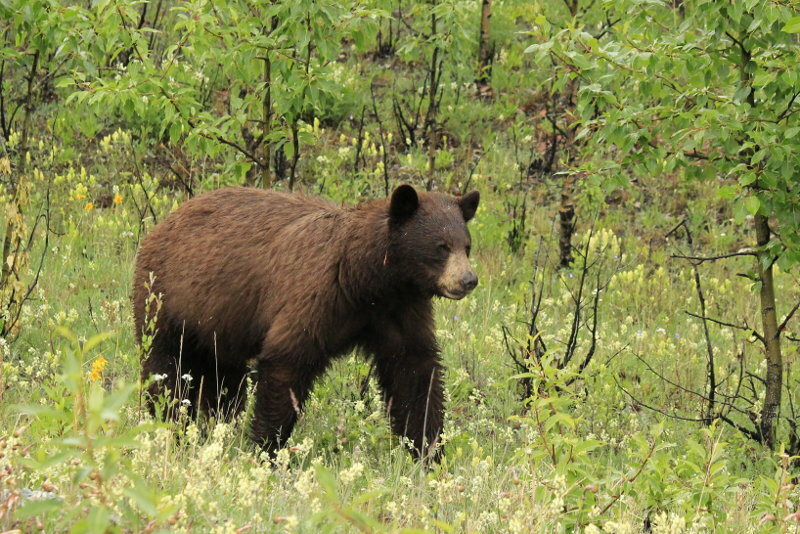 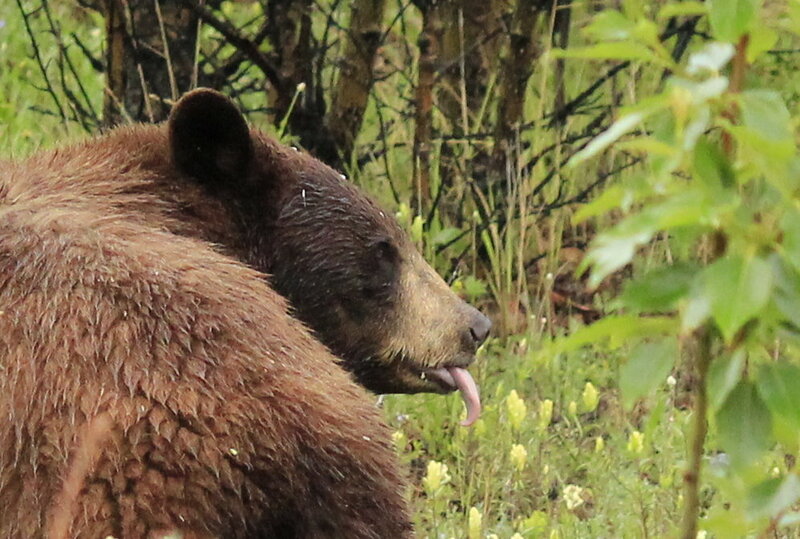 We headed north on the Alaska Highway first spotting a brown bear which we thought was amazing. 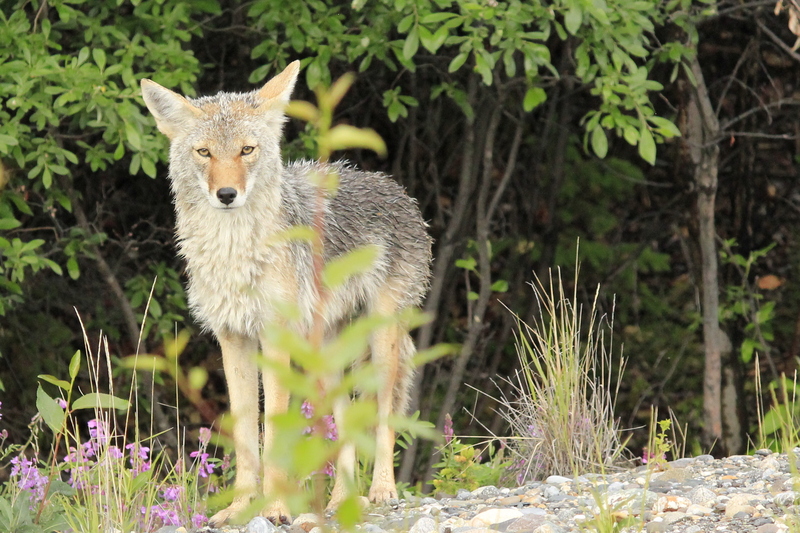 Then we came across a Coyote. 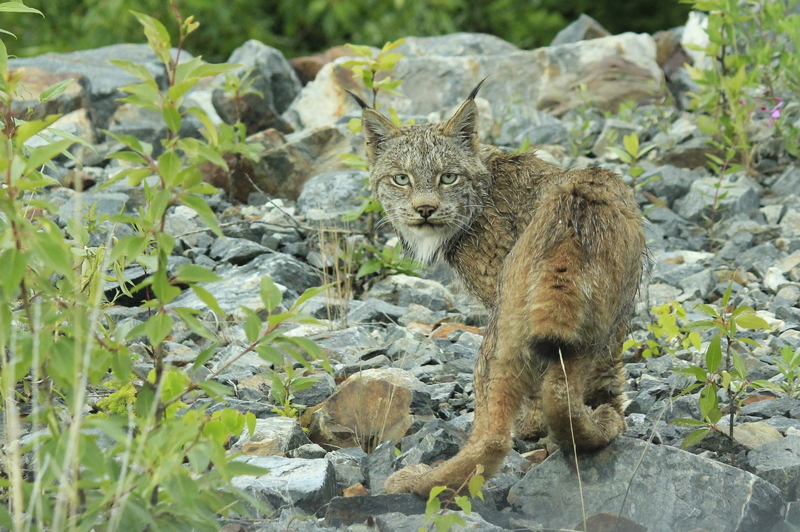 Just when we thought it couldn’t get any better, we came across…..a Lynx. 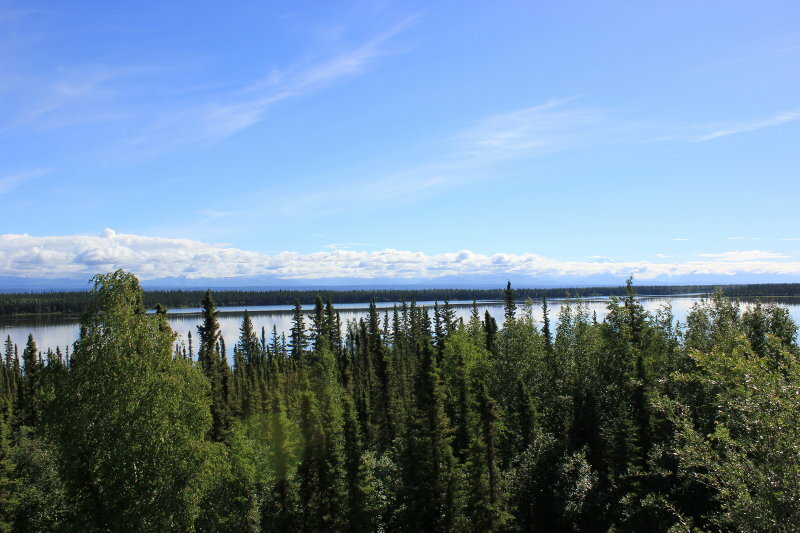 We’d only been driving a short time from Destruction Bay heading towards Tok. 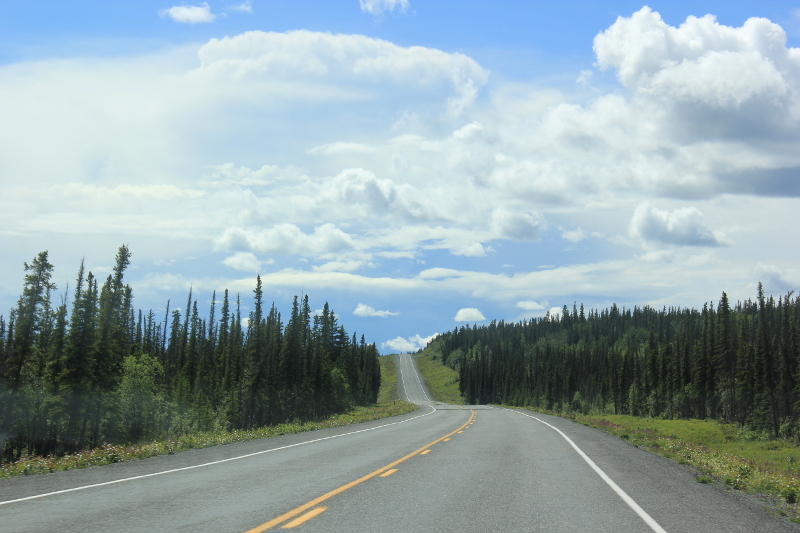 We once again crossed back into the USA, gaining a very useful hour. 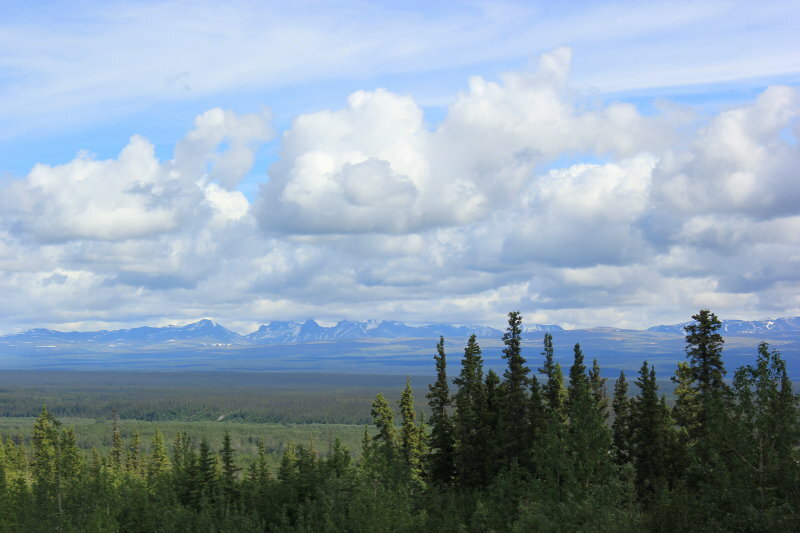 With a brief stop at the Tetlin Wildlife Refuge and Tok we turned onto the Glenn Highway heading towards Glennallen and down to the Wrangell St Elias National Park office and Copper Center. 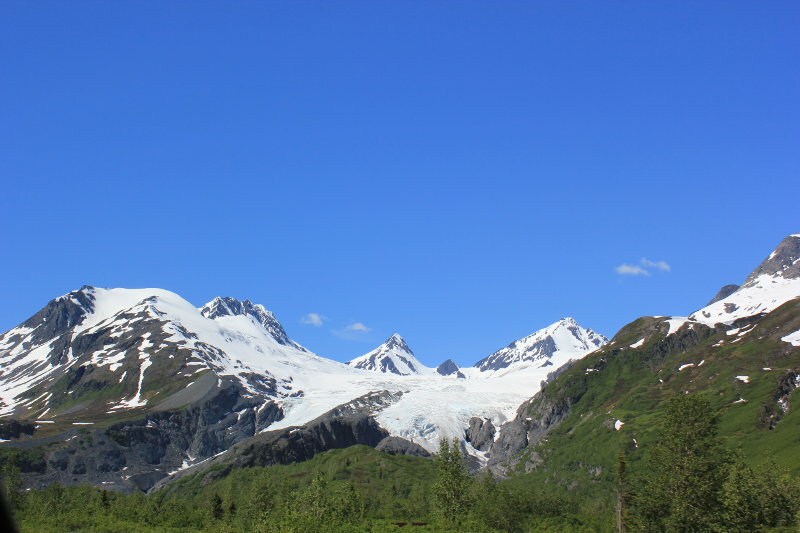 We didn’t have the time or equipment to venture into the park but it’s on our list as something we’d definitely love to explore next time. 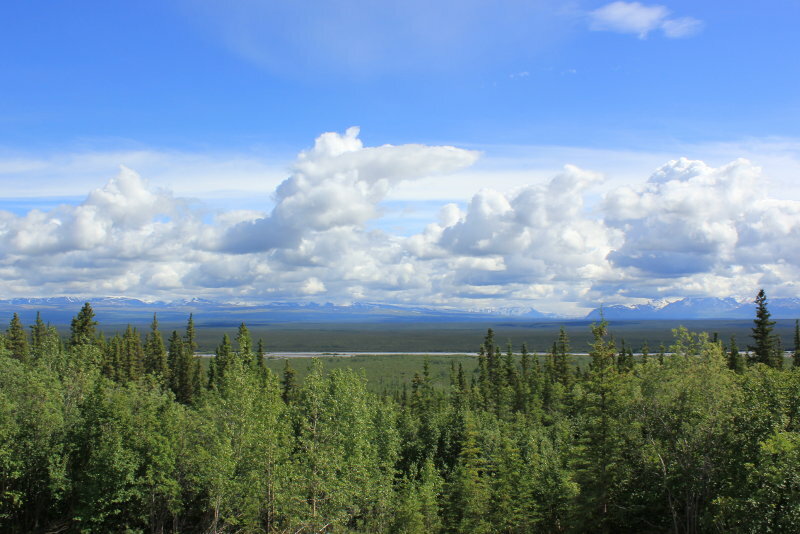 We stayed overnight at the fantastic Princess Copper River Wilderness lodge where by booking in advance we got a great room deal. 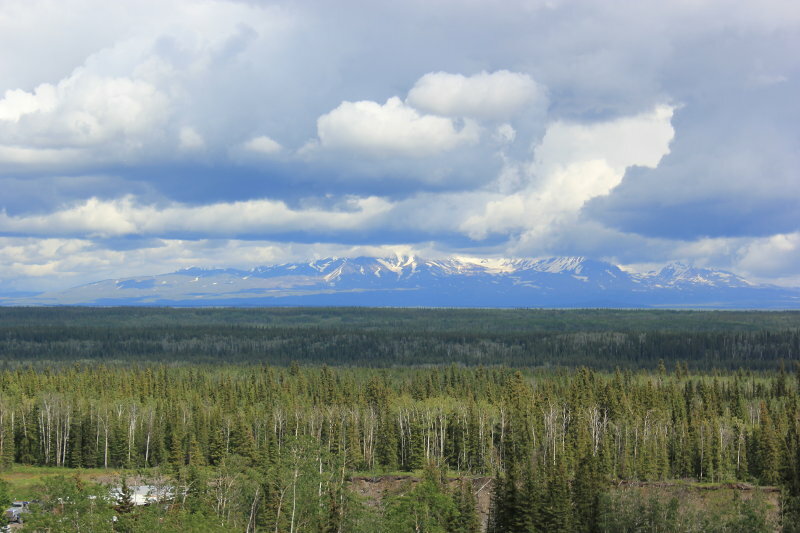 We did several walks around the lodge ending with a viewing of a double rainbow, magical! 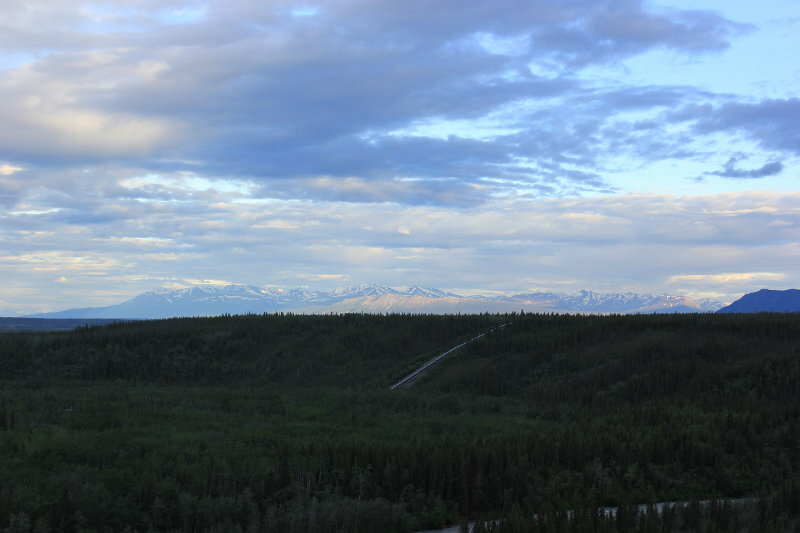 View from Copper River Wilderness Lodge with the oil pipeline in the distance. 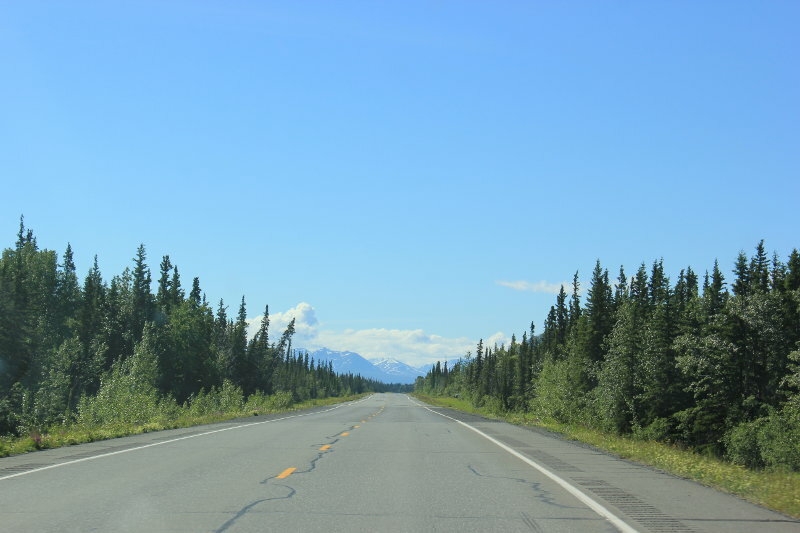 Leaving early we headed south on the Richardson Highway to Valdez. 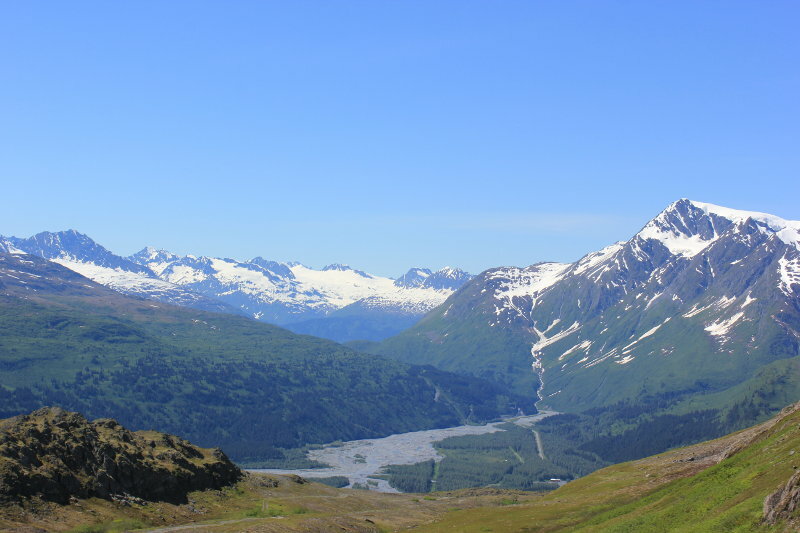 We stopped at the Willow Lake overlook and the Worthington Glacier – a great place to explore and beautiful lunch spot. 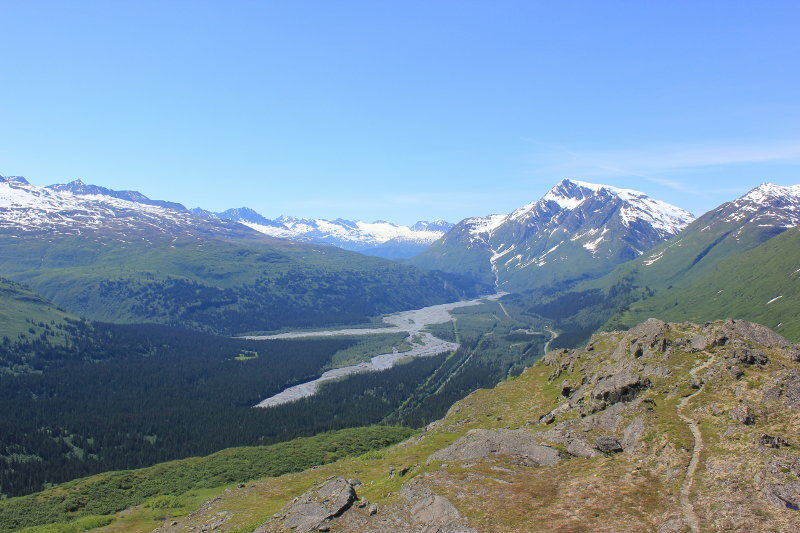 It was then on to the summit of Thompson Pass in the Chugach Mountains and a walk along the ridge. 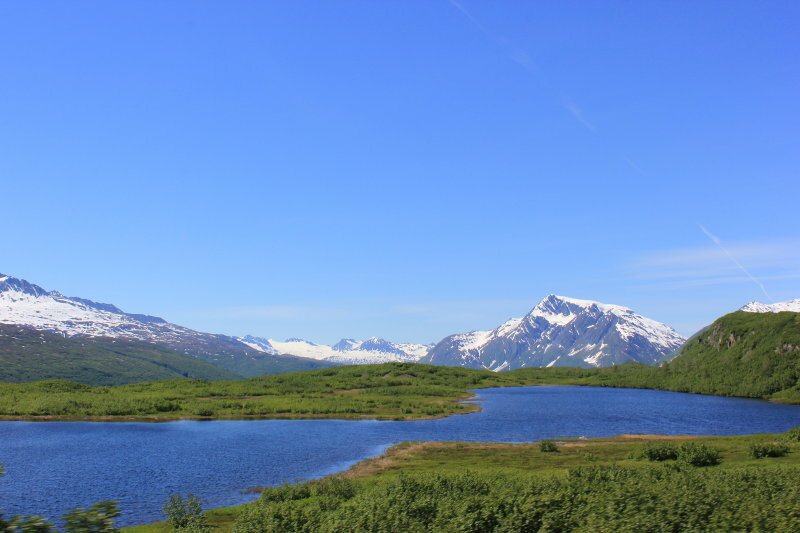 We were blessed with amazing weather again so the views were spectacular. 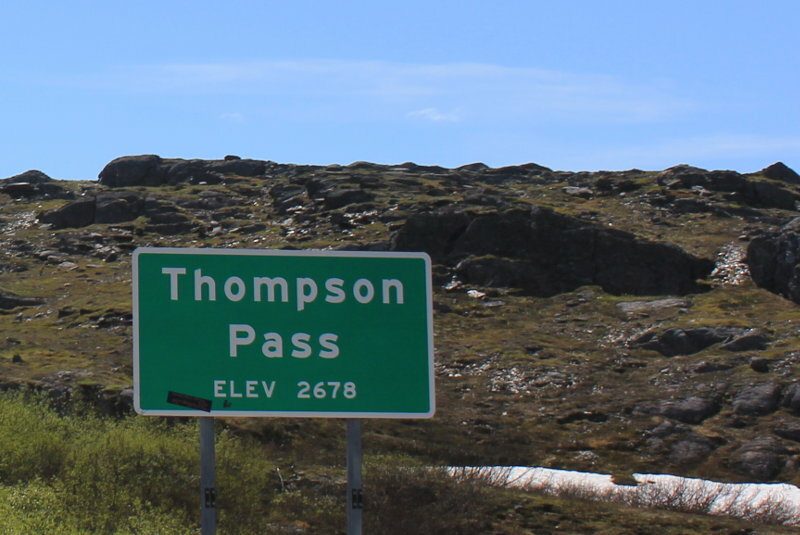 Thompson Pass Summit, Richardson Highway. 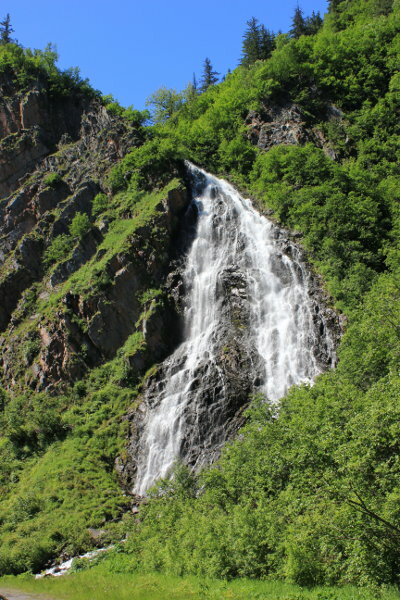 Back down in the valley we stopped off at Bridal Veil Falls and Horsetail Falls. 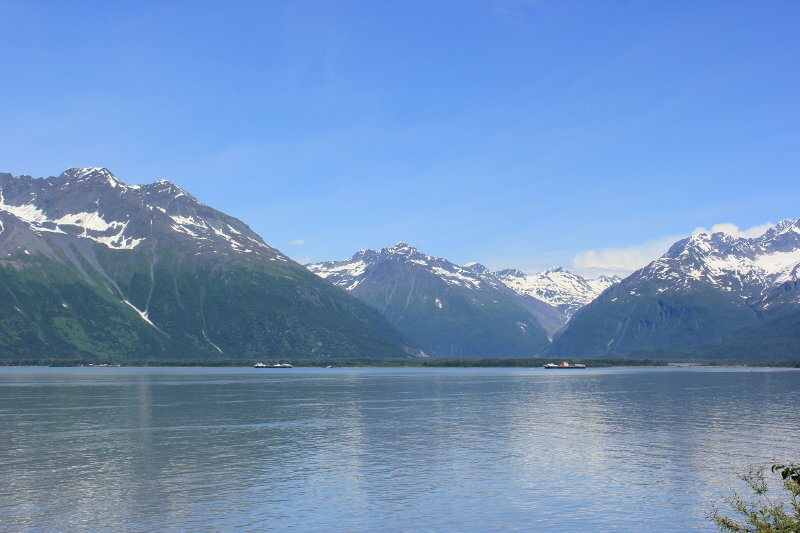 We then motored on to the Solomon Gulch Fish Hatchery on Dayville Road which had stunning views across the bay – no bears around! 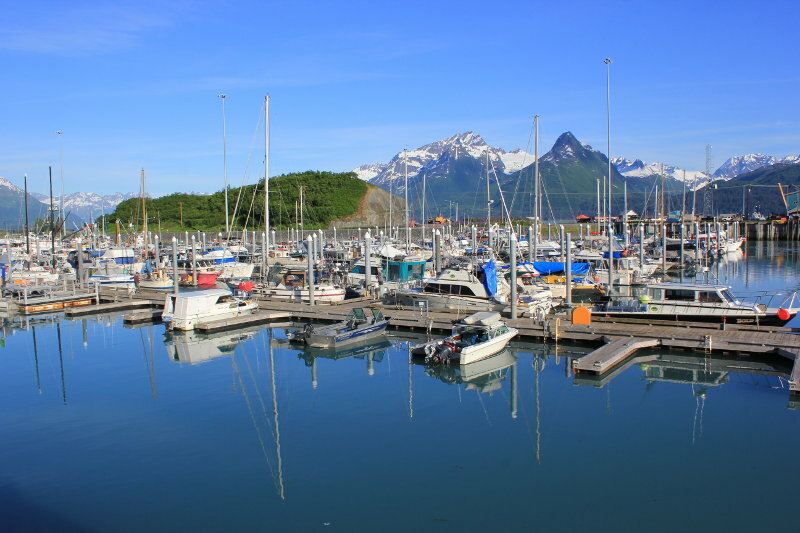 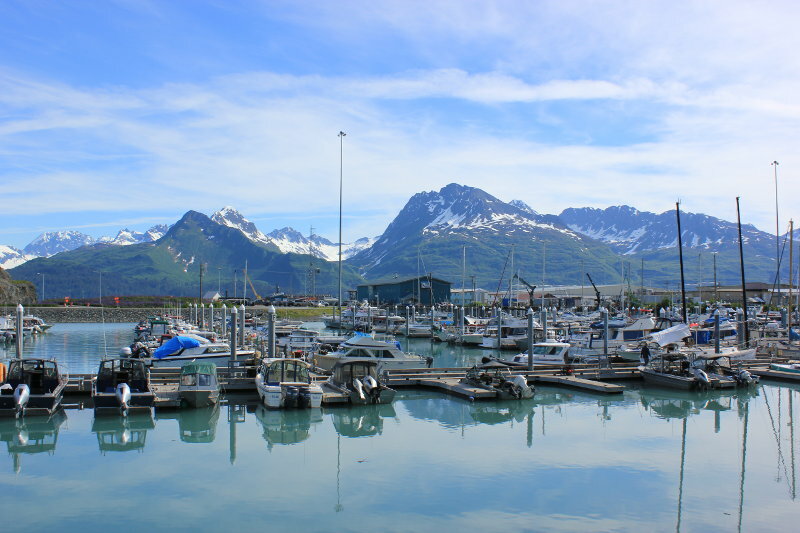 View from Solomon Hatchery, Valdez. 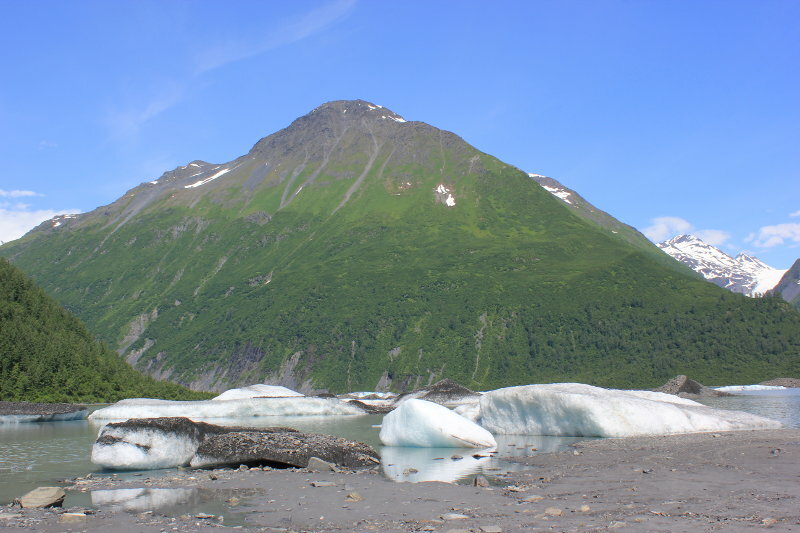 We then made our final stops of the day at the Crooked Creek Salmon viewing and the beautiful Valdez Glacier Lake which was full or icebergs! 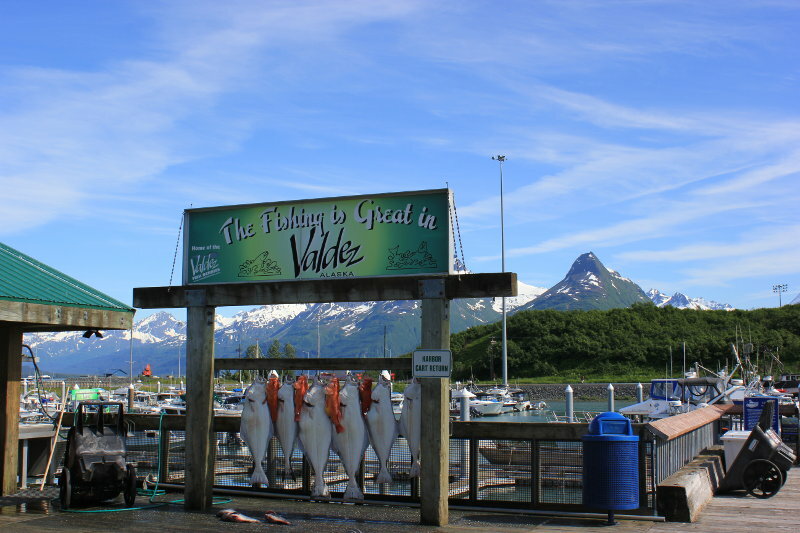 Finally, we finished in Valdez where we were staying ready for the ferry to Whittier very early the next morning. 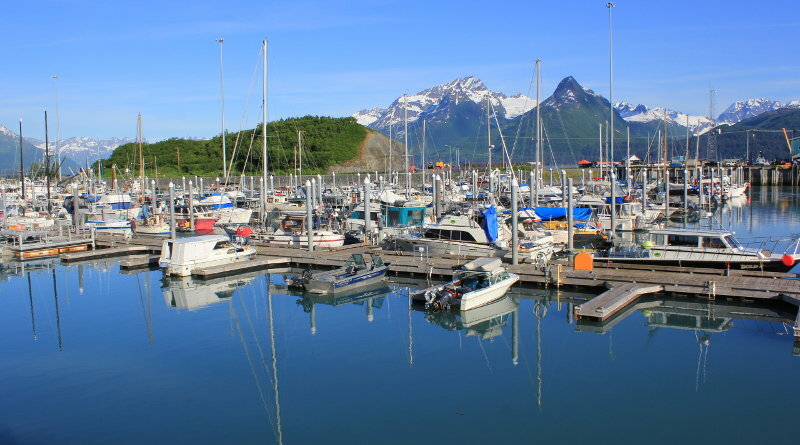 Next, it was onto Whittier and the Kenai Peninsula…click here for our next installment.